The perfect flick will yield you 24 points with a "6" on the "4x" level, but don't take your score for granted. 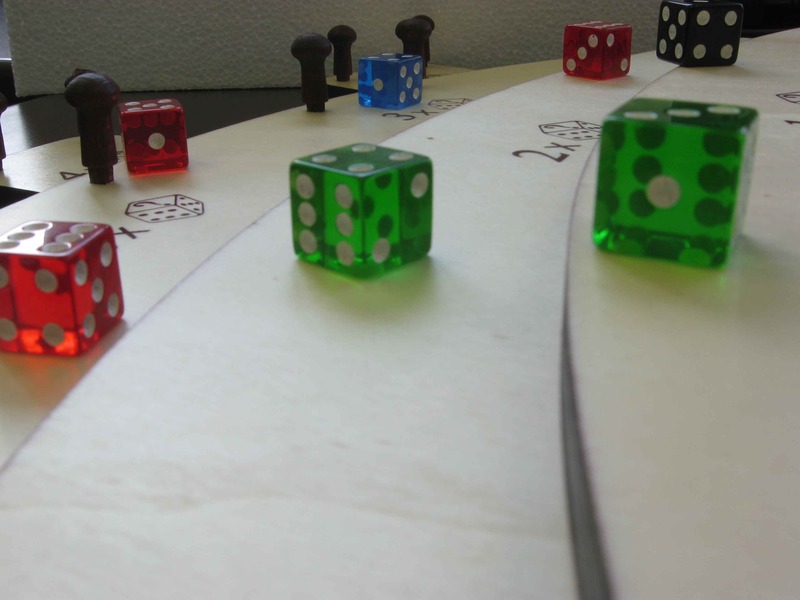 The other players will try to knock your dice off the scoring track with theirs. Once all the dice have been played the round is over and the scores are tallied. The first player or team to reach 301 wins the game. Lots of different variants for different levels of fun.